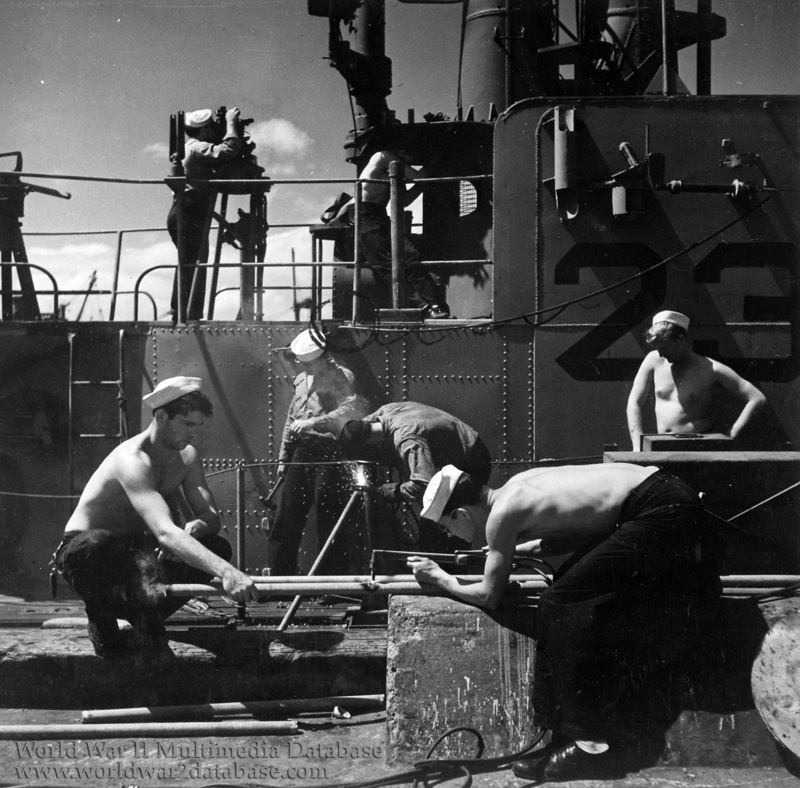 The National Archives caption is "Enlisted men repair and check instruments aboard a submarine just returned to Pearl Harbor, Hawaii. May 1945." A Balao or Gato Class submarine, it might possibly be the Finback (SS-230), Halibut (SS-232), Kingfish (SS-234), Silversides (SS-236) or Whale (SS-239). All of them were at Pearl Harbor sometime during May 1945. The black "23" was not common on U.S. submarines engaged in combat during World War II. No number identification was used on submarines on war patrol. It's possible the photo was staged.